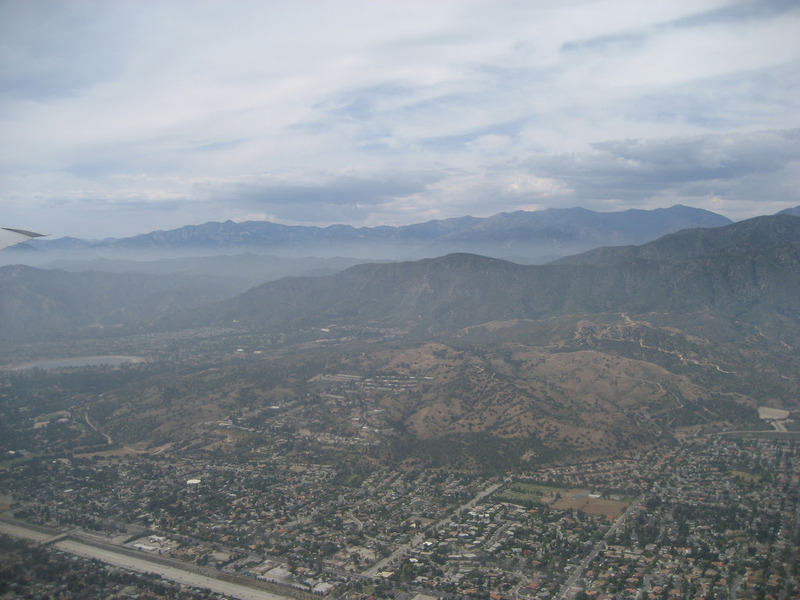 View of the Los Angeles Basin from a research aircraft that was part of the CalNex 2010 mission to study the region's air quality and climate-related challenges. Among the findings now emerging from that effort: Emissions from common household and industrial products including perfumes, pesticides and paints now rival motor vehicle emissions as the top source of the city's air pollution. Household products are one of the leading culprits of urban air pollution according to a new study published in Science. Paints, pesticides, and even perfumes are contributing more and more to air pollution, and are disproportionately impacting air quality as transportation gradually becomes cleaner. The study was chosen by the American Association for the Advancement of Science (AAAS) to be featured at the 2018 AAAS Annual Meeting and published in Science, one of the leading scientific publications in the world. Authors Brian McDonald and Jessica Gilman were invited to speak at a press briefing hosted by the AAAS today, and to present and respond to reporters regarding the findings of the publication. Technology has allowed us to create cleaner burning vehicles, electric cars, and alternative fuels; however, our household cleaners and other common chemicals haven't changed as much, and their effects on air pollution are beginning to emerge. In the United States, current air pollution inventories underestimate by two or three times the amount of volatile organic compounds (VOCs) emitted by consumer products, and overestimate emissions from vehicle sources. This study confirmed that contributions from household chemicals are now equal to that of transportation and oil and gas emissions. Even though we use almost 15 times more fuel than household products, chemicals in lotions and other everyday items are contributing just as much to air quality problems, indicating a clear need for further assessment and advancement in manufacturing. A Shift in Our Understanding of Urban Air Pollution: Researchers share their findings during a press briefing at the 2018 American Association for the Advancement of Science (AAAS) Annual Meeting that emissions from everyday products can contribute to poor air quality. By analyzing statistics provided by regulatory agencies and industries, making detailed atmospheric chemistry measurements in Los Angeles during CalNex 2010, and evaluating indoor air quality measurements made by others, Brian McDonald and his research colleagues compared data to determine how important daily-use chemicals are to the growing air pollution problem. The findings revealed that, contrary to prior EPA estimates, household chemicals are significant part of estimating VOC contributions. Previously, agencies had estimated that fuels produced about 75% of VOC emissions while household products contributed about 25%. The true split is about 50-50 according to the study. In the past, air quality management has prioritized controlling transportation and industrial emissions rather than the use of everyday products. While everyday products are subject to regulations, many important air quality statutes and compliance measures focused other things. Jessica Gilman, a CIRES scientist working alongside McDonald at CSD, explained that the storage and usage of gasoline compared to common solvents are very different. While gasoline is stored in closed containers and burned for energy, household products are designed to evaporate, which explains why these daily use chemicals are contributing more and more to pollution. It's not just what these products are made of, it's also how they are used, transported, and designed. McDonald, B.C., J.A. de Gouw, J.B. Gilman, S.H. Jathar, A. Akherati, C.D. Cappa, J.L. Jimenez, J. Lee-Taylor, P.L. Hayes, S.A. McKeen, Y.Y. Cui, S.-W. Kim, D.R. Gentner, G. Isaacman-VanWertz, A.H. Goldstein, R.A. Harley, G.J. Frost, J.M. Roberts, T.B. Ryerson, and M. Trainer, Volatile chemical products emerging as largest petrochemical source of urban organic emissions, Science, doi:10.1126/science.aaq0524, 2018. A gap in emission inventories of urban volatile organic compound (VOC) sources, which contribute to regional ozone and aerosol burdens, has increased as transportation emissions in the United States and Europe have declined rapidly. A detailed mass balance demonstrates that the use of volatile chemical products (VCPs) – including pesticides, coatings, printing inks, adhesives, cleaning agents, and personal care products – now constitutes half of fossil fuel VOC emissions in industrialized cities. The high fraction of VCP emissions is consistent with observed urban outdoor and indoor air measurements. We show that human exposure to carbonaceous aerosols of fossil origin is transitioning away from transportation-related sources and toward VCPs. Existing U.S. regulations on VCPs emphasize mitigating ozone and air toxics, but they currently exempt many chemicals that lead to secondary organic aerosols.